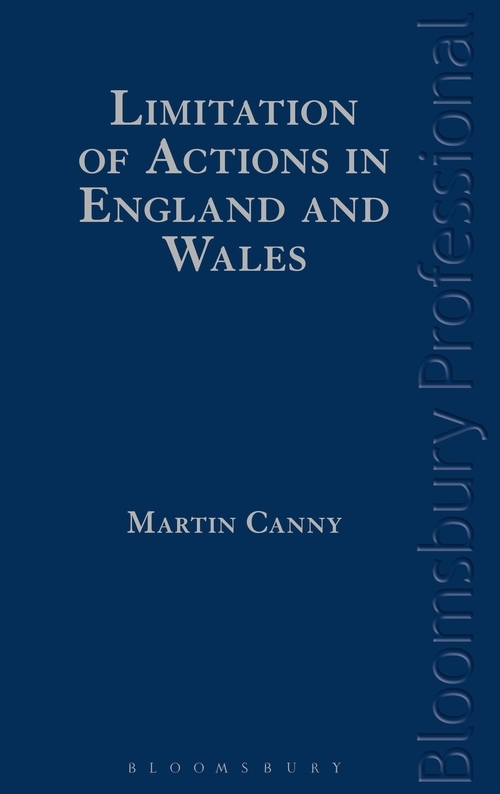 Limitation of Actions in England and Wales provides the most comprehensive, insightful and up-to-date commentary on the limitation provisions and time limits that apply to all civil causes of action. It covers the Limitation Act 1980 together with all amendments to the LA 1980, including those dealing with Latent Damage, Defective Products, Defamation and Arbitration, the Land Registration Act 2002 and the criminalisation of squatting in a residential building by s 144 of the Legal Aid, Sentencing and Punishment of Offenders Act 2012. Also covered are the Foreign Limitation Periods Act, the Rome I & II Regulations, and time limits relating to claims in the areas of Human Rights law, Employment law, Competition law, Judicial Review and Public Procurement challenges. 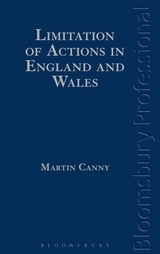 Limitation of Actions in England and Wales is an essential legal textbook for barristers in civil practice, solicitors, in-house counsel, law students, and claims handlers in insurance companies and local authorities. It analyses the law as it currently stands and areas where uncertainty remains or changes are possible. It includes an analysis of the recent decisions of the Supreme Court in the area, including decisions on the date of knowledge provisions (AB v Ministry of Defence  1 AC 78), claims for refunds of overpaid taxes (Franked Investment Income Group Litigation  2 AC 337), competition law time limits (BCL Old Co. Ltd. v BASF plc. 1 WLR 2922), and employment law claims (Birmingham City Council v Abdulla  1 All ER 649). It also considers the important decisions of the Court of Appeal in Central Bank of Nigeria v Williams  3 All ER 579 (dishonest assistance), Page v Hewetts Solicitors  EWCA Civ 805 (mislaid court form), Green v Eadie  2 Ch 363 (solicitor's negligence concerning a conveyance), Joddrell v Peaktone Ltd  1 All ER 13 (effect of restoration of a company under the Companies Act 2006) and Parshall v Hackney  EWCA Civ 240 (effect of erroneous registration by the Land Registry), Sayers v Lord Chelwood  2 All ER 232 (personal injuries and the s 33 discretion) as well as decisions of the High Court.